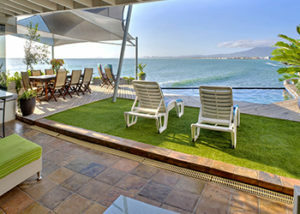 Bikini Beach Penthouse is a stylish 2-bedroom apartment with beautiful ocean and mountain views. 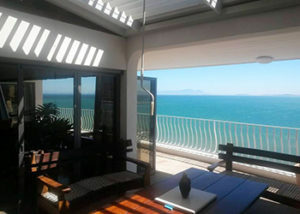 The apartment is situated in a complex across the road from the Blue Flag Bikini Beach, Gordon’s Bay Yacht Club and harbour, and restaurants. The apartment comprises 2 levels, and offers elevator access to your floor. There are 2 bedrooms, 2 bathrooms, and an open-plan kitchen and living area. The air-conditioned main bedroom is upstairs, and contains a queen-size bed, an en-suite bathroom, and a TV. The bedroom leads out onto a balcony with beautiful sea and mountain views. The second bedroom is situated downstairs, and contains 2 single beds that have been pushed together, and an en-suite bathroom. This bedroom is equipped with a ceiling fan. The open-plan kitchen features a breakfast nook, and is equipped with a microwave, an oven and stove, a fridge, a Nespresso coffee machine, and cutlery and crockery, as well as a washing machine and a dishwasher for guests convenience. The lounge is equipped with air-conditioning, and a TV with full DStv. The apartment is also equipped with Wi-Fi, a laptop-size safe, a hairdryer, and an iron and ironing board. The apartment features a balcony on both the first and second floor, with a dining table, chairs and loungers. Guests have access to portable braai facilities, secure, covered garage parking, and secure access to the building. A cleaning service is available once a week; a more frequent service can be arranged at an additional cost. 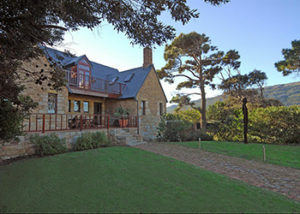 Le Bay Lodge is at the foot of Hottentots Holland Mountains. 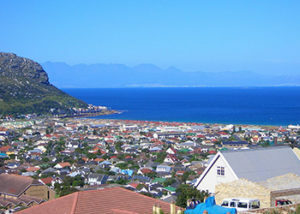 Le Bay is situated in Gordons Bay only 100 m from the beach and a short walk to the well-known Bikini Beach. Le Bay has 9 contemporary decorated bedrooms all with en-suite bathrooms, air-conditioning and fans with single or double beds. There is a fully operational licensed restaurant with breakfast, lunch and dinner. The lodge also caters for small functions, weddings, birthday parties. Please note as this is a liquor-licensed establishment, no alcohol may be brought onto the premises, as there is a full bar available. Guests can also relax or read a book in the lounge or courtyard or sit by the fireplace. The lodge can help guests plan their next trip and make reservations for guests trip. 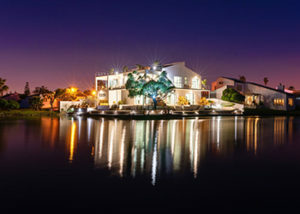 Le Bay Lodge is a 25-minute drive from Cape Town International Airport and a 20-minute drive from Stellenbosch Winelands. 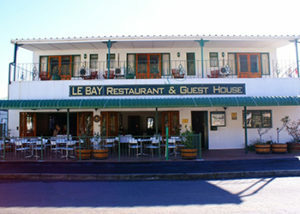 Le Bay is ideally situated for trips and day tours. Ideally situated just 300 metres from the famous 5 kilometer stretch of white beaches in Strand, Ocean Breeze Cottage is the perfect place to come and relax and enjoy the beautiful surroundings. Just a minute’s walk and you are on the beach for a swim or a nice walk before sunset. The charming old-style house, expertly converted into 2 spacious cottages, still has its original hardwood floors and high ceilings, complimented with stylish fully equipped kitchens and bathrooms. Linen is provided and changed for those booking for longer stays, guests must just bring their own towels with. 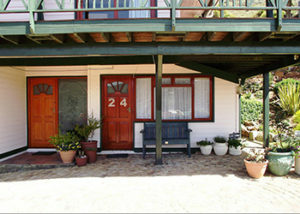 Outdoor braai facilities and secure parking for 1 car, behind a gate, is available. 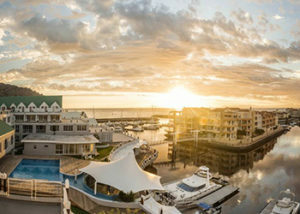 Strand is the central location from where to explore the wine routes of Stellenbosch and Franschoek, or take the scenic drive along the Whale Coast route to Hermanus. 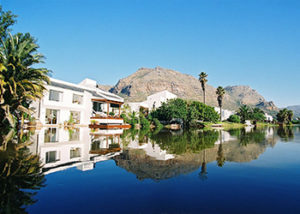 Surrounded by the Hottentots Holland mountain range, hiking or biking in the mountains is right on your doorstep. 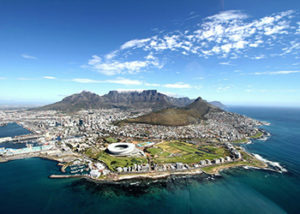 Cape Town is just 40 minutes away where you can visit Robben Island or go up Table Mountain or go shopping at the prestigious V&A Waterfront. 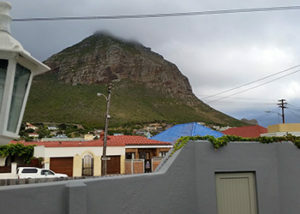 This spacious, affordable three-bedroom unit is just a 5 minute walk to the swimming beach and 20 minutes away from Cape Town International Airport. 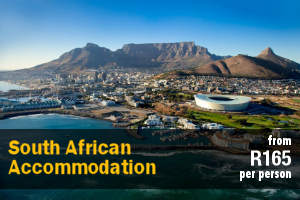 The apartment is walking distance from various shopping centres and restaurants, close to wine routes (Stellenbosch, Franschoek, Paarl and many more), and it is also a 45 minute drive to Cape Town. Vergelegen MediClinic is close (4,6 km) and a very easy, straight road takes you to the hospital in a few minutes. 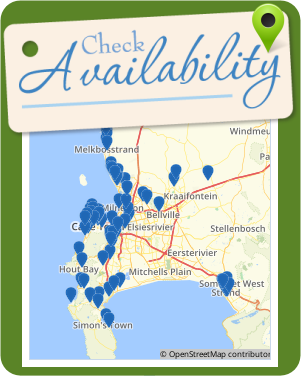 The new Busamed Hospital is about 2,5 km from Die Strand Woonstel and it is also easy to reach. The parking area and the unit is on the ground level, so no stairs to climb. 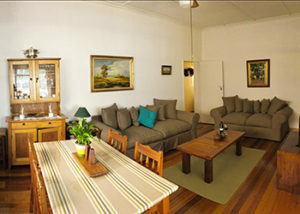 The unit is comfortable and spacious and has beautiful wooden floors. It comprises 3 bedrooms with enough cupboards and 1,5 bathroom. 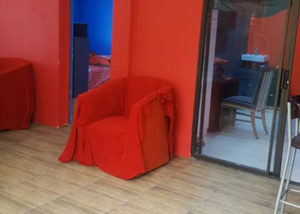 The Blue Room and the Red Room each have a double bed and the third bedroom has 2 single beds. The bathroom is fitted with a shower over bath, a toilet and a basin and there is an extra toilet and basin adjacent to the bathroom. The living area is open-plan and the kitchenette contains a fridge, a microwave, a mini oven with a 2-plate stove, crockery and cutlery. The lounge has comfortable couches and a flat-screen TV with DStv Compact and the dining area has a dining table and chairs. Free Wi-Fi is also available. A bookshelf with various reading material and a few games are also available, ideal for a family holiday. The unit also has a covered patio with a portable Weber braai and outdoor seating. There is secure parking for a vehicle and a trailer on the premises. Although the apartment are attached to the house, it still is independent and has 2 private entrances. We will welcome you and assist when needed, but will still give you your privacy. The residential area is safe and pedestrian-friendly. No loud parties allowed on the premises. Unfortunately we do not accommodate day visitors without it being arranged beforehand. 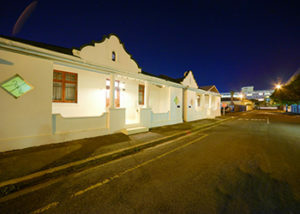 We are also close to the Metrorail train station to travel to Cape Town. Uber and other taxi services are also available. 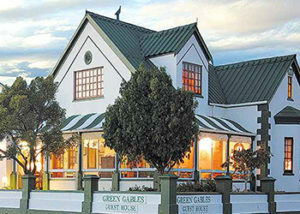 Groenewald Accommodation offers comfortable, clean, self-catering accommodation in Strand. 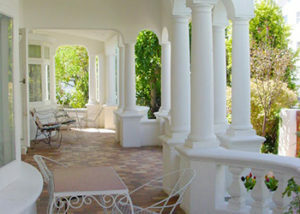 The 94-year-old Cape Dutch house has 2 fully furnished flats, Tambotie, and Frangipani. 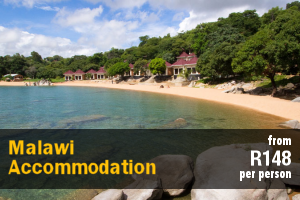 Frangipani sleeps a maximum of 3 guests, it is a 1 bedroom unit with a double and single bed. There is an en-suite bathroom with a bath and walk-in shower. There is a kitchenette with a fridge, 2-plate stove, microwave, and kettle. There are a patio and a covered parking for one car. Tambotie is a family unit that sleeps a maximum of 6 guests, it has 3 bedrooms with 2 double beds and 2 single beds, a full kitchen, a bathroom with bath and walk-in shower. There is a braai room and covered parking for one car. The accommodation is 200 meters from the beach and the municipal swimming pool, with shops, restaurants and takeaway outlets all within 300 yards. 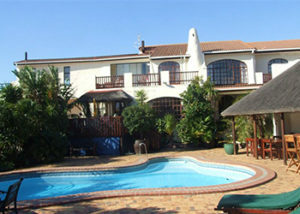 Situated in Strand, Africa Cottage Strand is a chic, comfortably furnished self-catering garden cottage with 4 rooms. 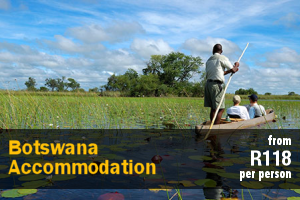 It is ideal for lone travellers, couples or a family of 3. There is free WiFi in the unit. 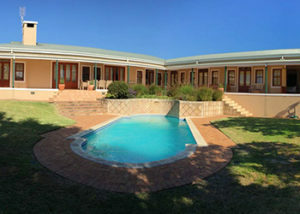 Located on the same property as the main house, the cottage has a private entrance and is decorated in an African style with unique furniture, wall art and braai facilities. 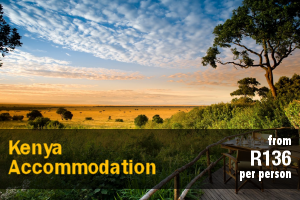 The cottage has a bedroom with a double bed, a heater, a fan and a flat-screen TV with DStv Premium. There’s a sofa available in the living room a third adult, a teenager or 2 children up to the age of 6. A fold-out baby bed is also available upon request. Please bring your own linen and pillow for the baby’s bad. The cottage has a bathroom with a bath and a walk-in shower. Luxury linen, towels and quality toiletries as provided. The kitchen is equipped with a microwave, a 4-plate stove and oven, a fridge, toaster, cutlery and crockery, as well as tea and coffee-making facilities, and there are spices and cooking oil available. Meals can be enjoyed at the dining table, which doubles as a workstation for your laptop, or on the patio outside. There is loads of reading material like magazines on the bookshelf. The cottage opens onto a furnished stoep and a beautiful private garden where guests can relax and watch the birds in the trees. Safe parking for one vehicle and braai facilities are available behind an electronic gate. The cottage has no cleaning services for shorter bookings of 1 to 4 nights. Cleaning products are provided. The cottage is cleaned twice a week if guests book for longer than 4 nights. Business travellers: Even though the cottage is self-catering, we can provide breakfast to business travellers on request, as well as a daily cleaning service and laundry at an extra fee. 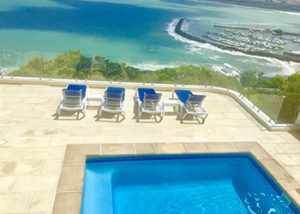 La Playa B&B is an exquisite establishment situated in the seaside town of Strand, one of the Western Cape’s most popular holiday destinations. Do you feel like slowing down after a difficult day or just breaking away for a day or two from the everyday demands? Then La Playa B&B offers you just what you need. Putt down your bags, kick of your shoes and stretch out in any of our very stylish and tasteful rooms, each equipped with its own en-suite facilities for your convenience. La Playa is barely 80m from the swimming beach, mini golf, supertubes, restaurants and pubs right on the beachfront. The perfect location for kite surfing, paddling, surfing and rock angling are but few of the everyday activities enjoyed by locals and vacationers. 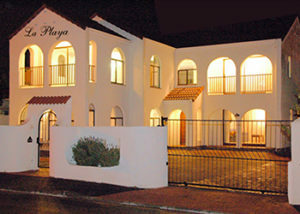 La Playa is a three star maintained B&B that offer 4 en-suite bedrooms. 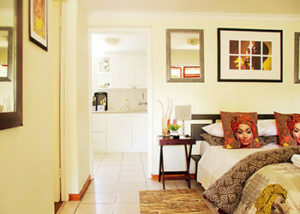 All rooms are stylish and equipped with TV with DStv, free WiFi, tea and coffee trays. Our warm hospitality welcome you the business executives to the tourist alike. There is safe parking is available behind remote gates for our guests. 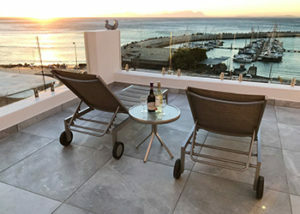 Marina Views is situated at the tip of the marina in Marina Da Gama, and offers comfortable self-catering accommodation with lovely mountain and marina views. Marina Da Gama is a 6-minute drive from Muizenberg beach and Surfers Corner, where there are an abundance of restaurants and shops within close proximity. 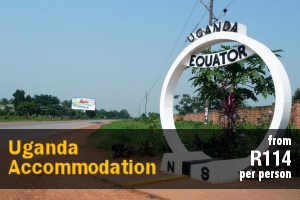 Accommodation is offered in 5 rooms and a 3-bedroom house. 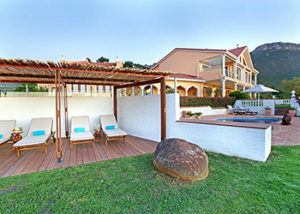 The 5 well-appointed rooms are self-catering units; 4 of the rooms have a private patio with braai facilities, and all rooms have access to 2 waterside communal patios. The 3-bedroom self-catering house offers double-storey outside viewing decks boasting lovely views of the marina and mountains. 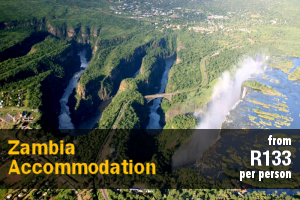 Each room has an en-suite bathroom, and is equipped with linen, pillows, bedside tables and lamps, chairs, a coffee table, a TV with selected DStv channels, free Wi-Fi, a kettle, a fridge, a toaster, a microwave, a hotplate, cutlery, plates, cups, pans, an office desk, an iron and ironing board, a hairdryer. Each room has additional access to the communal areas which comprise a deck on the water and a further seated area, both offering beautiful views. The house is on the second storey, and comprises 3 en-suite bedrooms, a fully fitted kitchen, a dining table, a lounge, and a wraparound deck. The house is equipped with a washing machine and a tumble dryer for guests convenience. A short set of stairs will take guests to the sky deck, ideal for enjoying the views with a sundowner. Kayaks and pedal boats are available free of charge to guests wishing to explore the estuary and marina waterways. Private laundry facilities can be arranged, and guests have access to off-street parking. 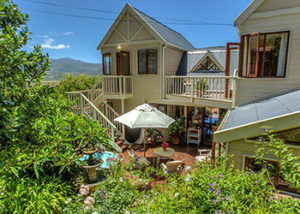 The Muize Bed and Breakfast is a family owned and run guest house located in Muizenberg, Cape Town. 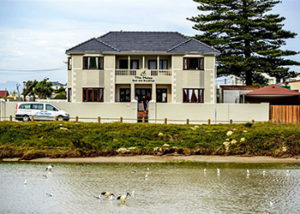 Situated on the Zandvlei Nature Reserve estuary with mountain, sea and river views; and is a bird watcher’s paradise. The house is a renovated grand old dame from a former time. 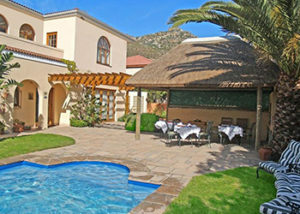 It boasts 8 beautiful appointed bedrooms, 6 of which feature en-suite bathrooms; and there are 2 communal bathrooms. Free Wi-Fi access and tea- and coffee-making facilities are provided. A continental type breakfast, with South African flavours, is served as standard each day. Those seeking something heartier can order from the ingredients menu, and let Meg use her kitchen gifts to create something memorable. The Muize has braai facilities available for guests who want to try their hand at one of South Africa’s favourite pastimes. Ideal for entertaining a few old friends or even a few new ones that you’ve met on your travels. The establishment can provide wood and all braai utensils, spices and cutlery upon request. Off-street parking is available for up to 10 cars. Please be sure to make a request when you are booking to reserve your parking spot. 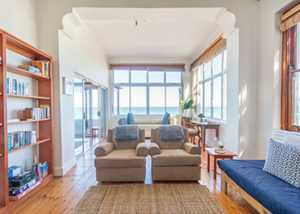 3 Royals is a self-catering holiday home located in Muizenberg, a short distance from the beach and Surfer’s Corner. 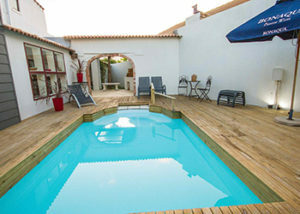 The house can accommodate up to 5 guests and comprises 2 bedrooms, 1 bathroom, and an open-plan kitchen and living area. The main bedroom contains a double bed, while the second bedroom contains 3 single beds. The bathroom is fitted with a bath and a shower, a toilet and a washbasin. 100% Cotton linen, as well as bath and beach towels, are provided. The kitchen is fully equipped for self-catering and contains a stove, oven, fridge-freezer, microwave, and cutlery and crockery. There is also a breakfast bar with stools. The lounge has a comfy lounge suite, a fireplace and a wall-mounted flat-screen TV with a full selection of DStv channels. Free Wi-Fi access is also provided. 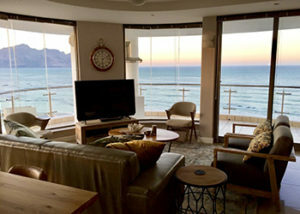 With The Tide is a beautiful self-catering apartment, located in Muizenberg on the ocean’s edge, and offering beautiful sea views. 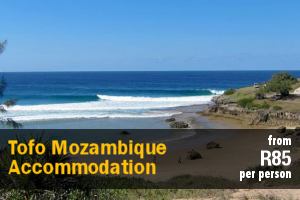 The apartment is approximately 3 minutes walk from the beach, and this area is popular for surfing. There are also several good restaurants, cafes, and bars nearby. With The Tide can accommodate up to 4 guests, and comprises 2 bedrooms, 2 bathrooms, a kitchen, lounge, and dining area. The master bedroom contains a queen-size bed and an en suite with a shower-over-bath. The second bedroom contains a double bed and a shower en suite. The kitchen is fully equipped for self-catering with a stove and oven, fridge-freezer, microwave, and a dishwasher. The lounge area contains a flat-screen TV, and a fireplace. 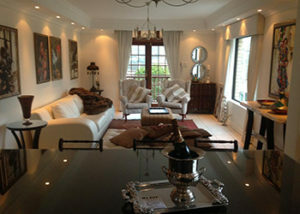 The dining area contains an 8-seater dining table and chairs and indoor braai facilities. 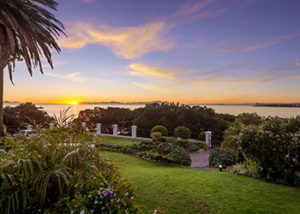 The dining area opens to a veranda with outdoor seating, kettle braai facilities, and sea views. 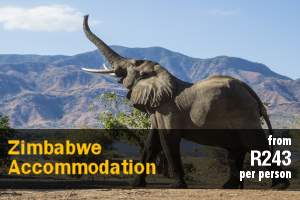 The unit is suited for 2 people and comes equipped with a double bed with an en-suite bathroom. It has a fully equipped kitchenette with a fridge, microwave, kettle, toaster and gas hob. The TV has the local channels and M-Net. This unit also has its own private entrance and off street parking.